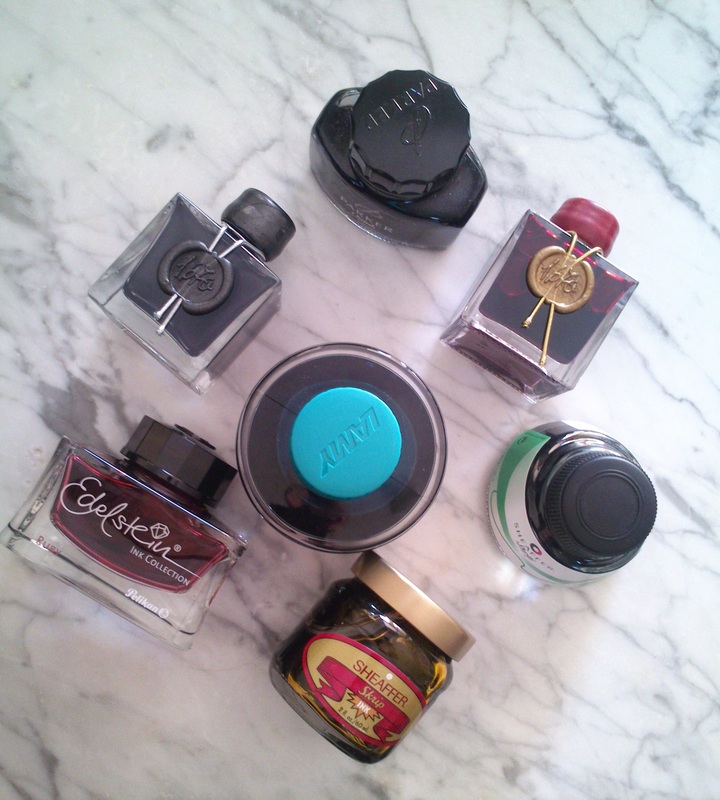 J.Herbin has just released a new 1970 ink called Emerald of Chivor and I am in love!!! 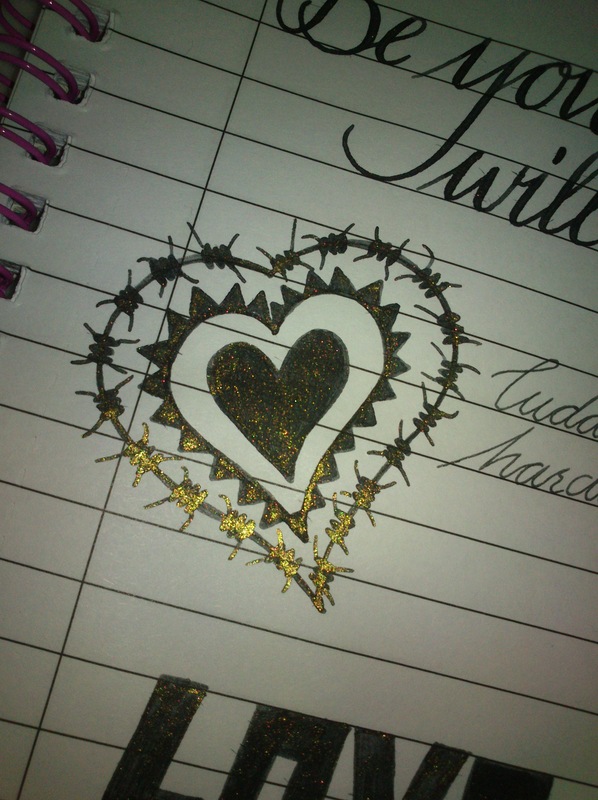 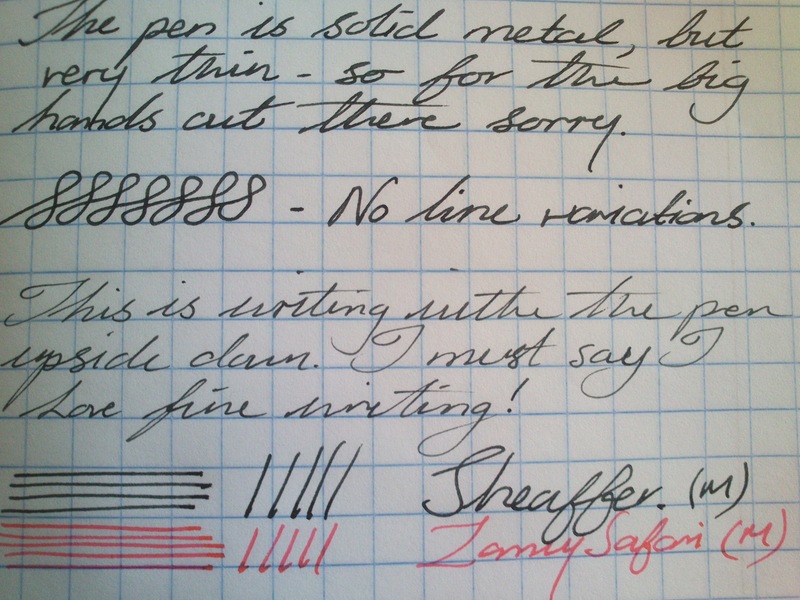 I need this ink – yes that’s right NEED. 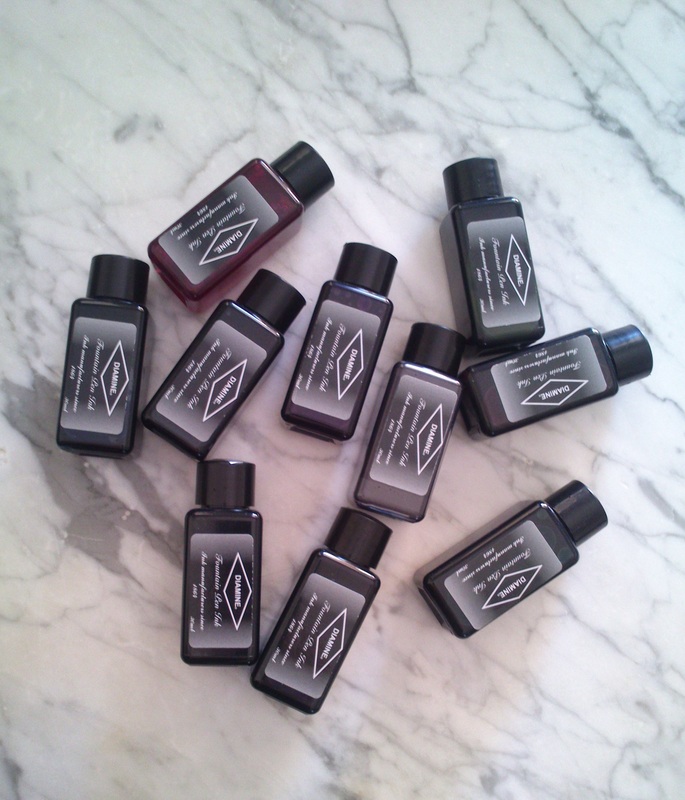 I have two from the collection Rouge Hematite and Stormy Grey and I absolutely adore them. 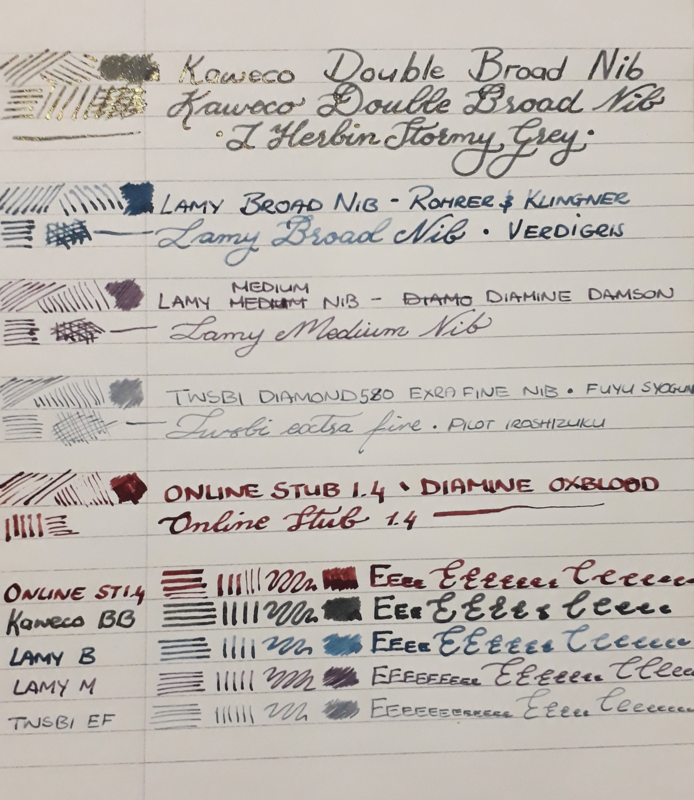 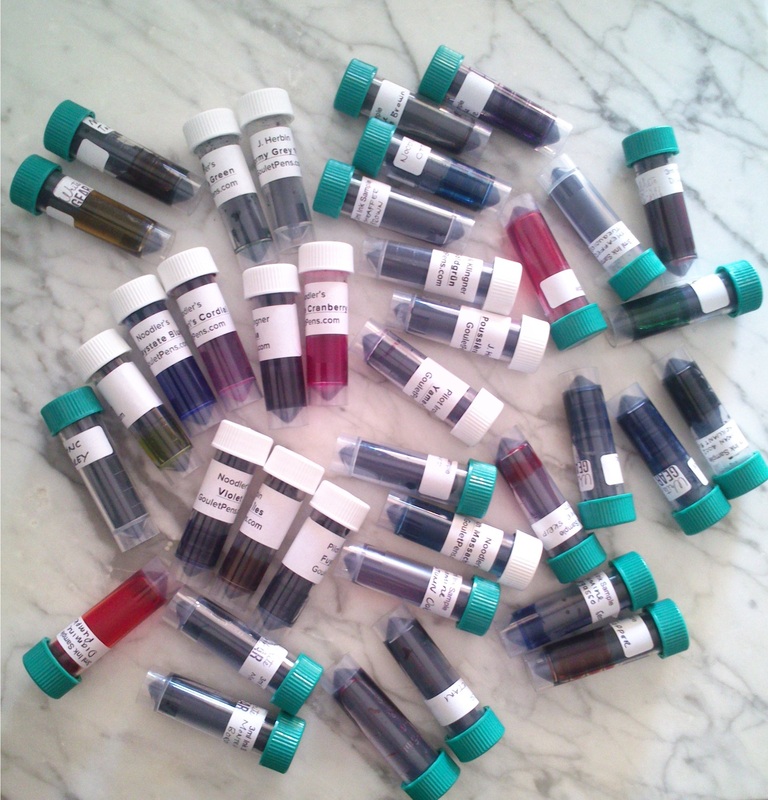 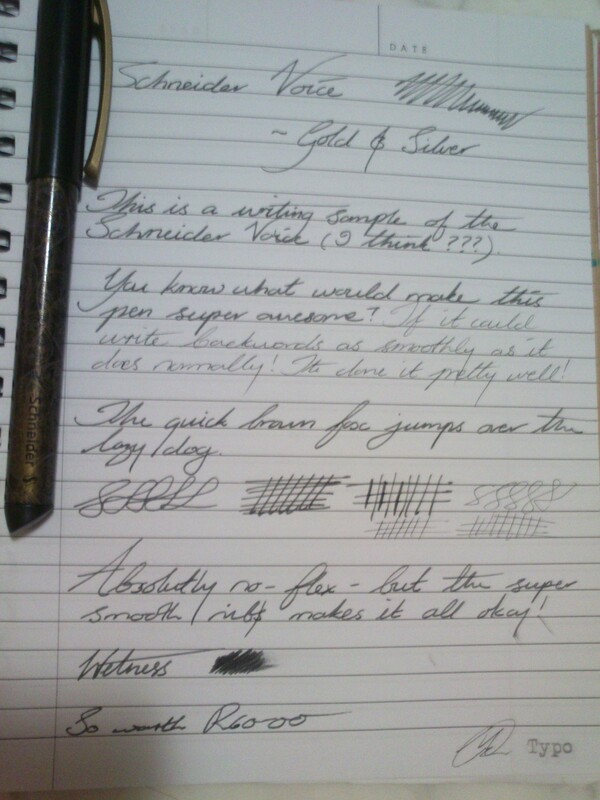 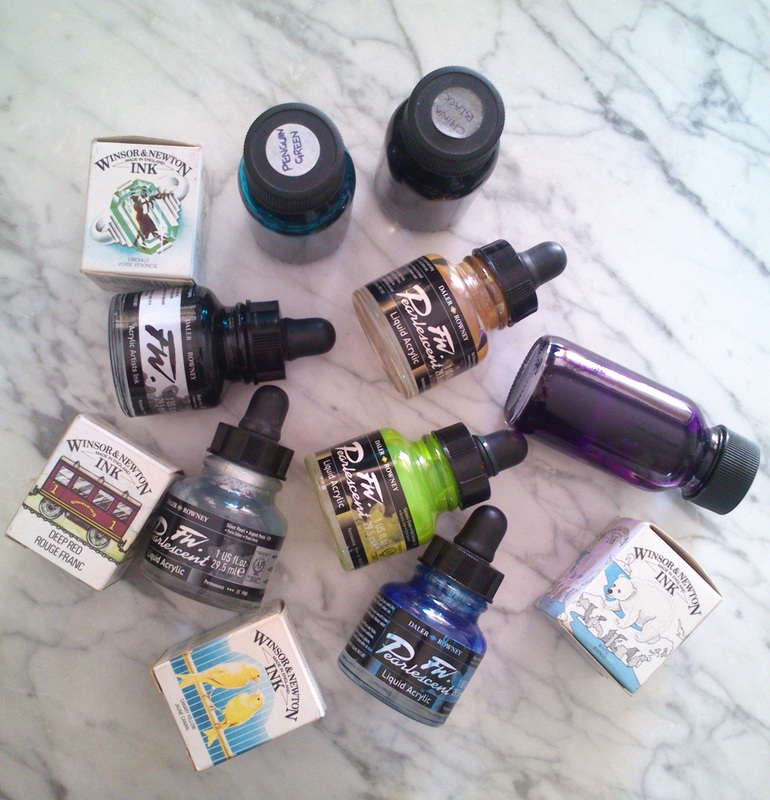 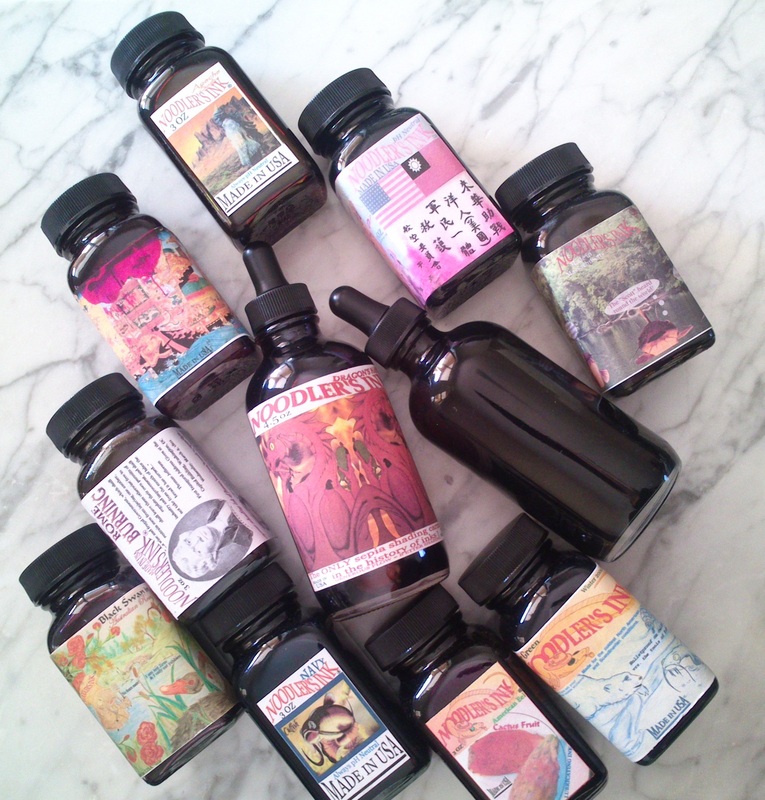 Additionally if Write Gear still has samples of Stormy Grey available it is a sunning ink, get it now… This ink is still in one of my pens at all times and I have had it for a few months now. 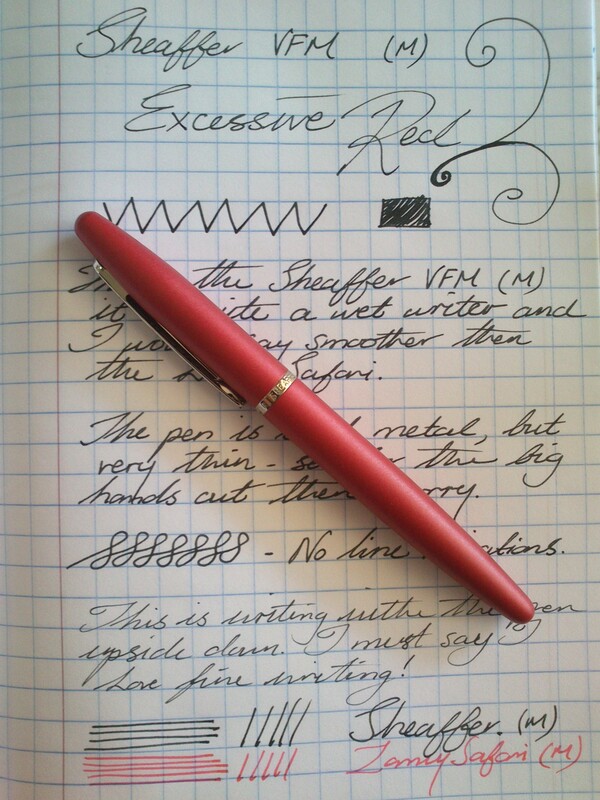 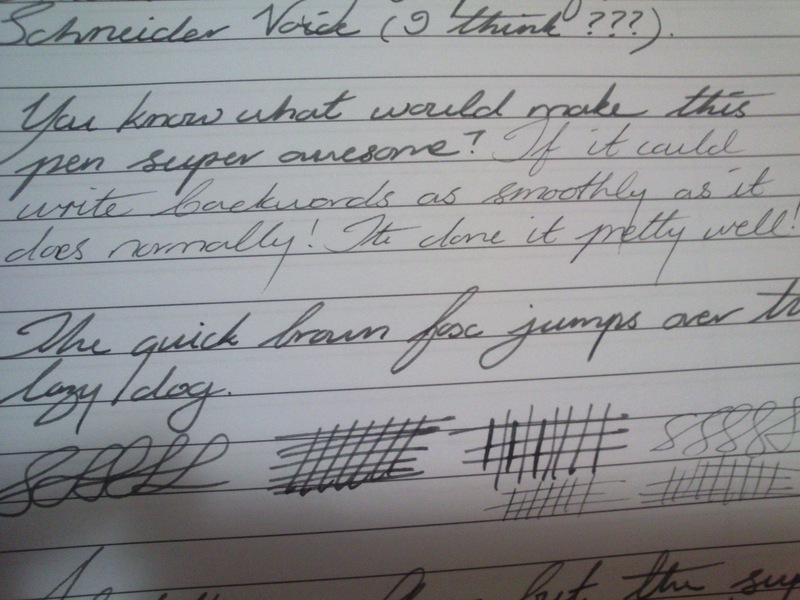 Nothing and I mean nothing beats these inks for doodle wow factor. 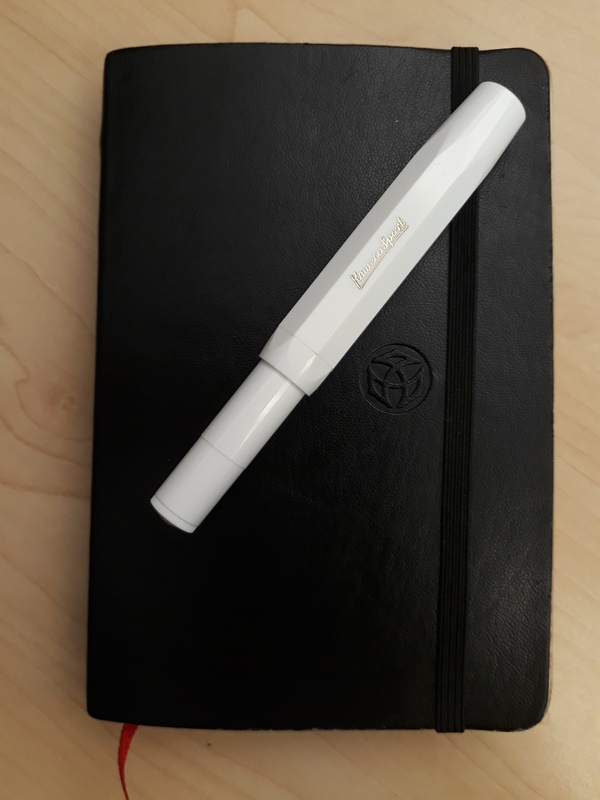 a comment below. 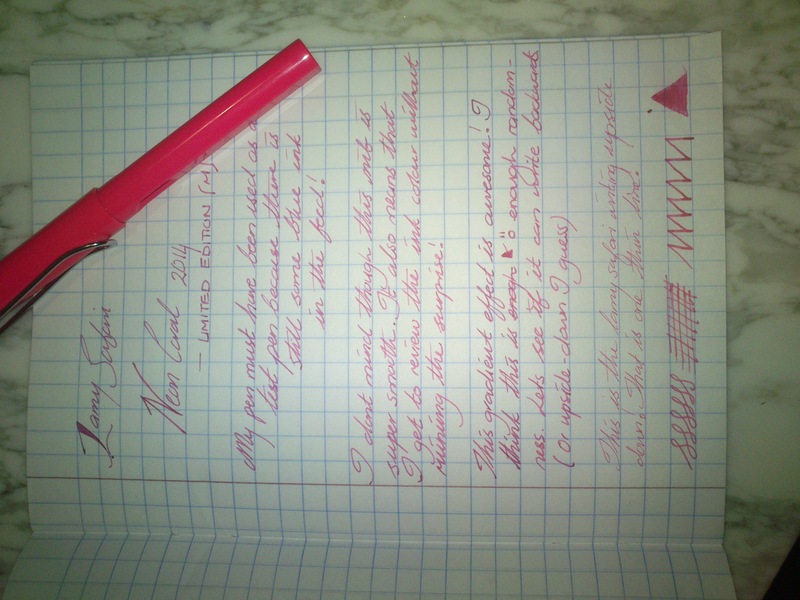 I’ll start with the first request and work my way down. 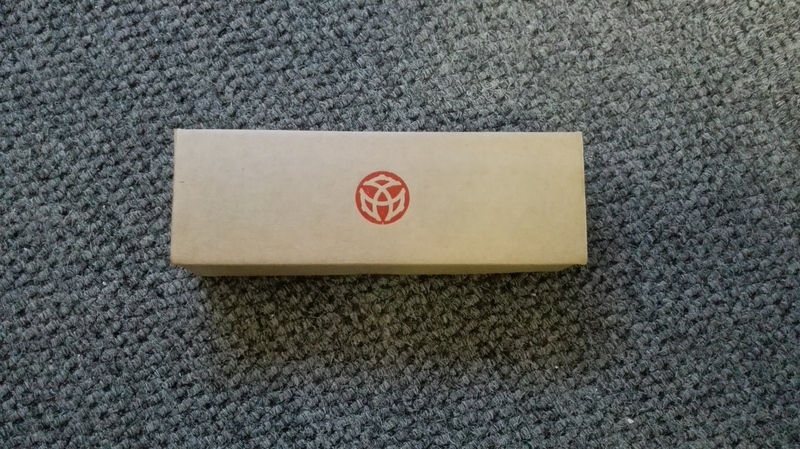 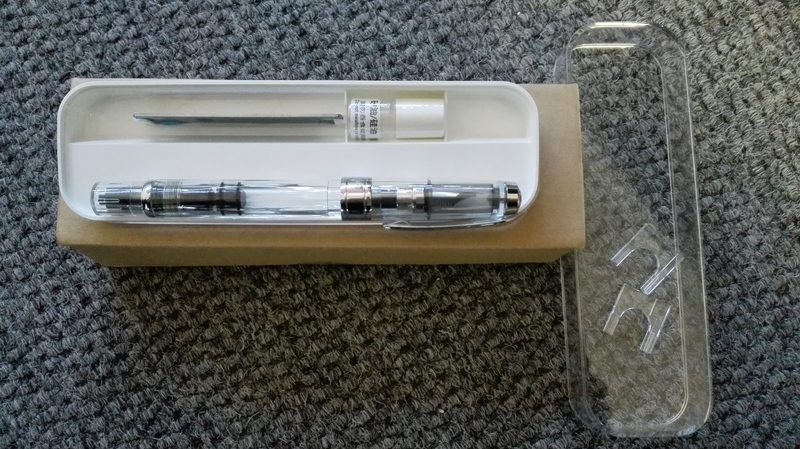 Today i’m going to review possibly the cheapest fountain pen available in SA. 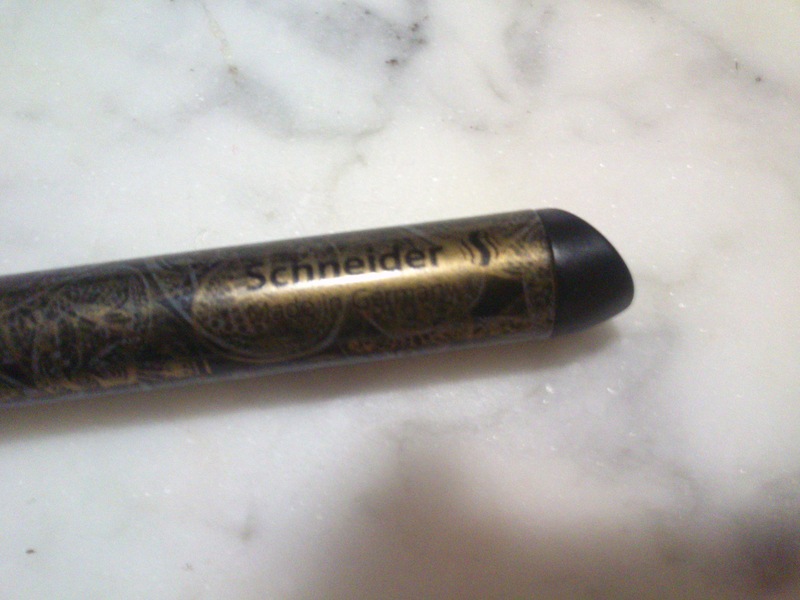 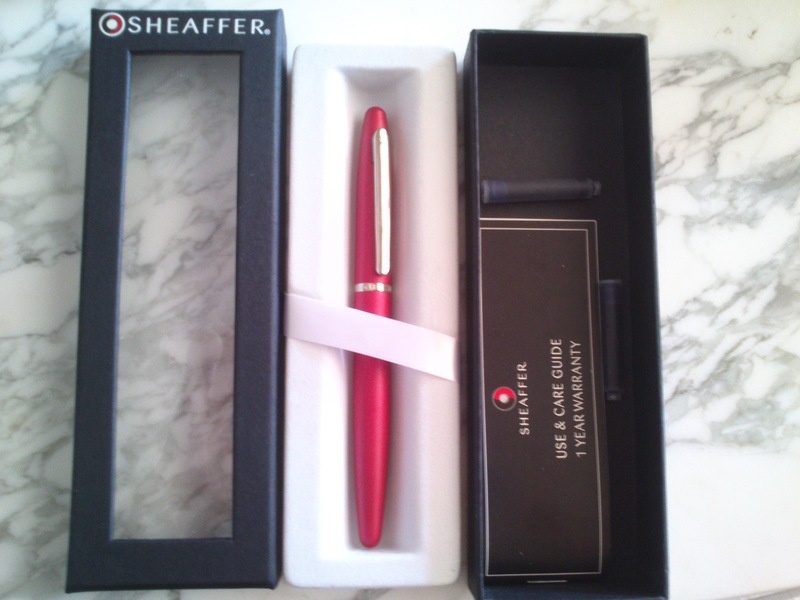 I think the model name is the Schneider Voice – but since this pen is sold off a stand without a box i’m not 100% sure. 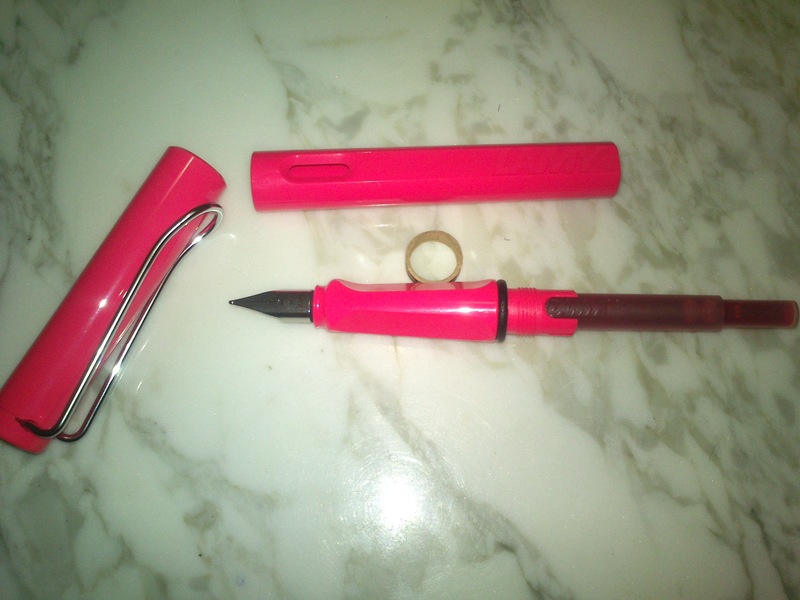 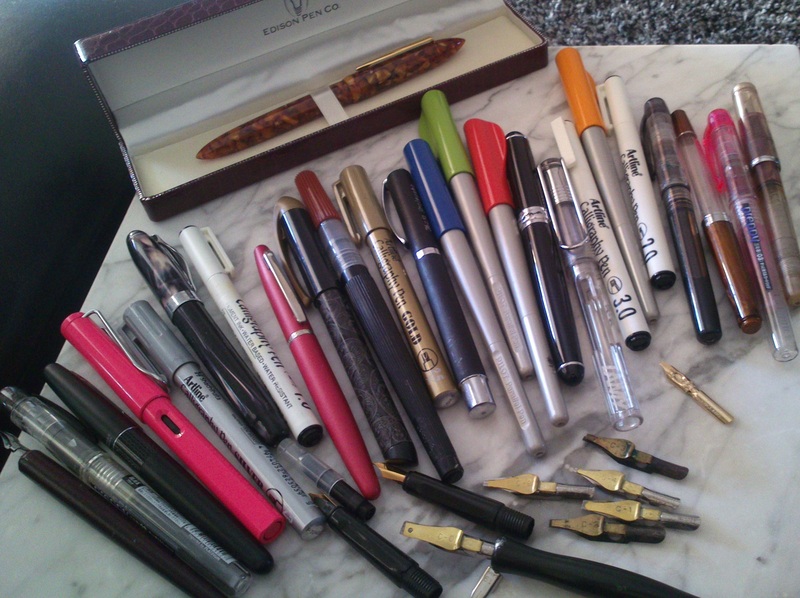 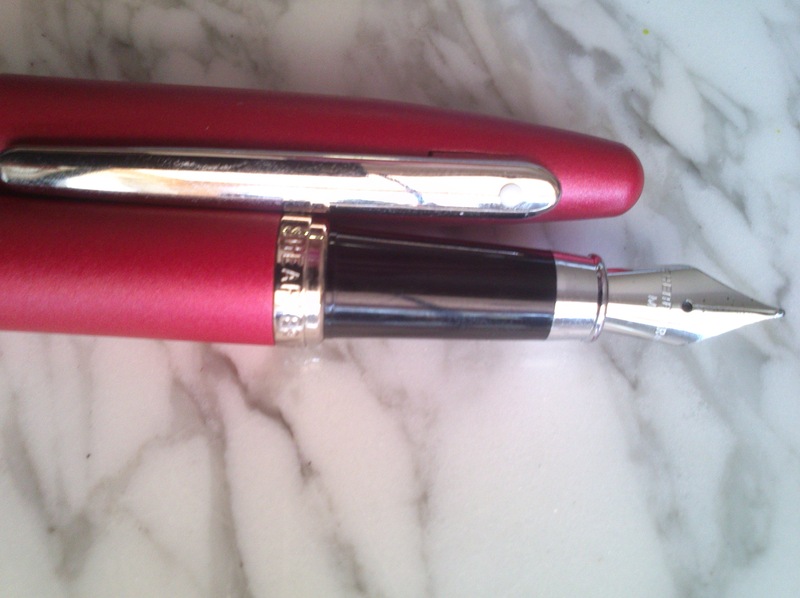 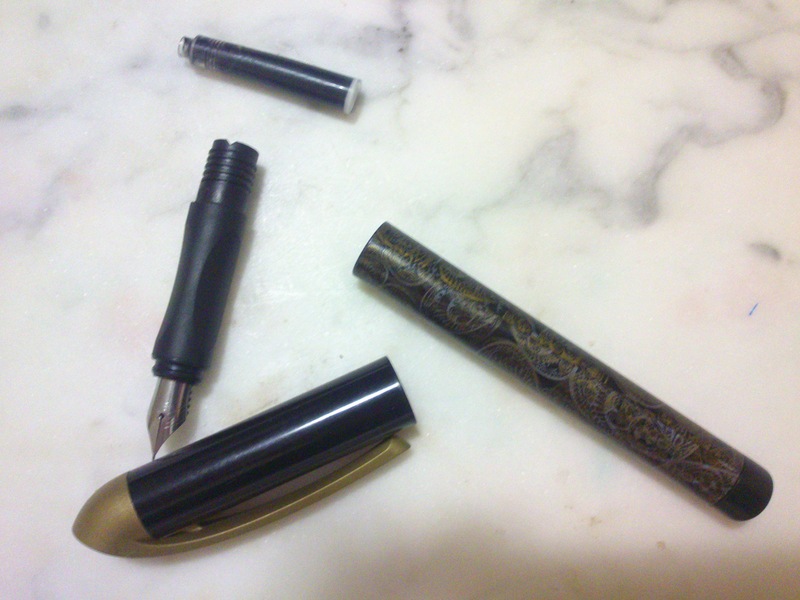 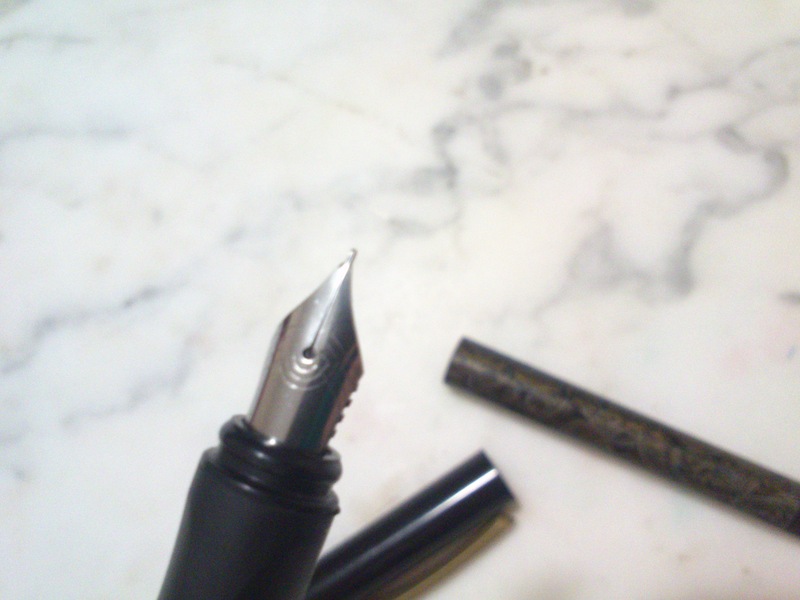 The colour and pattern of the pen change based on the shipment, but the nib, grip section and structure remain unchanged. 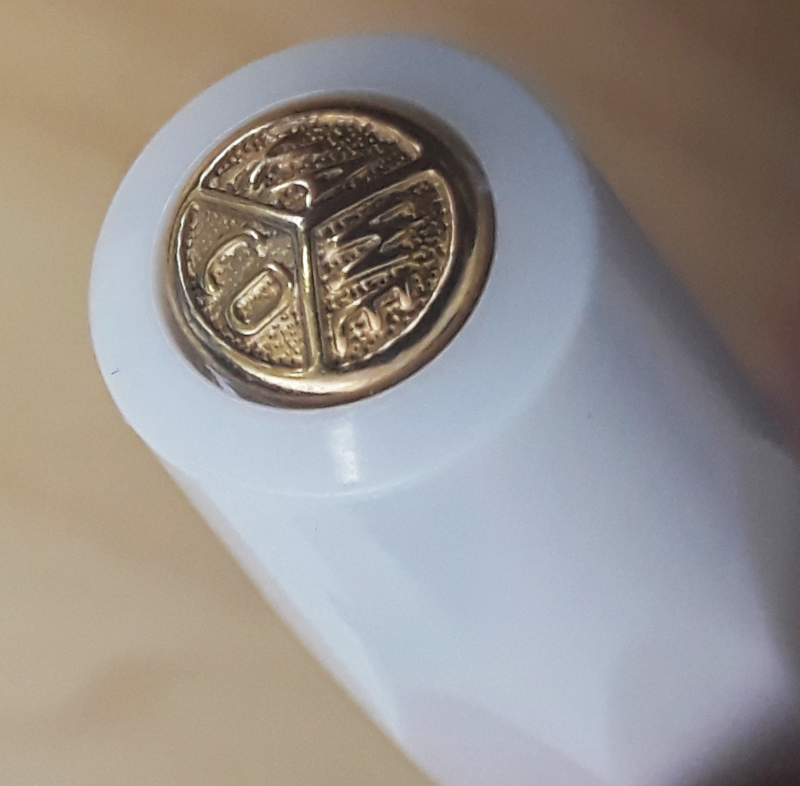 The cap has a gold coloured section with ‘Germany’ engraved into it, while the barrel has a printed gold and silver paisley pattern with ‘Schneider’ and ‘Made In Germany’ printed in black. 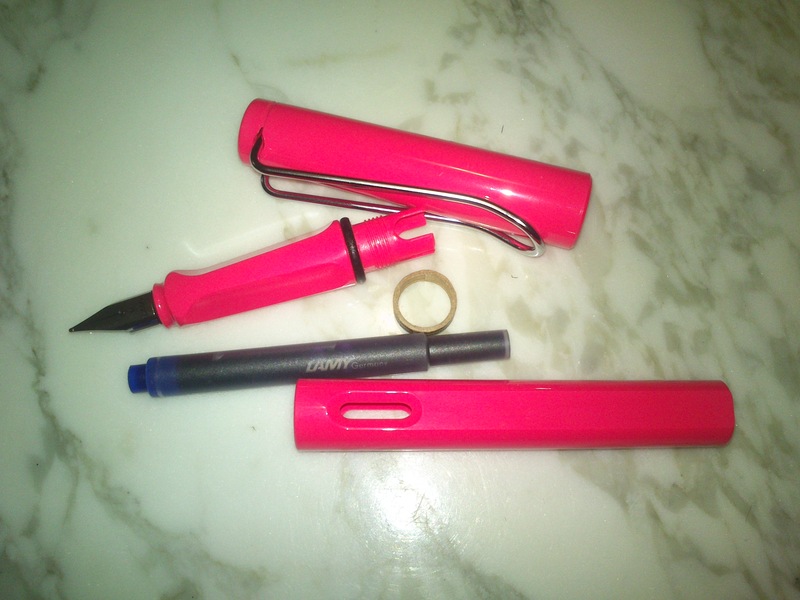 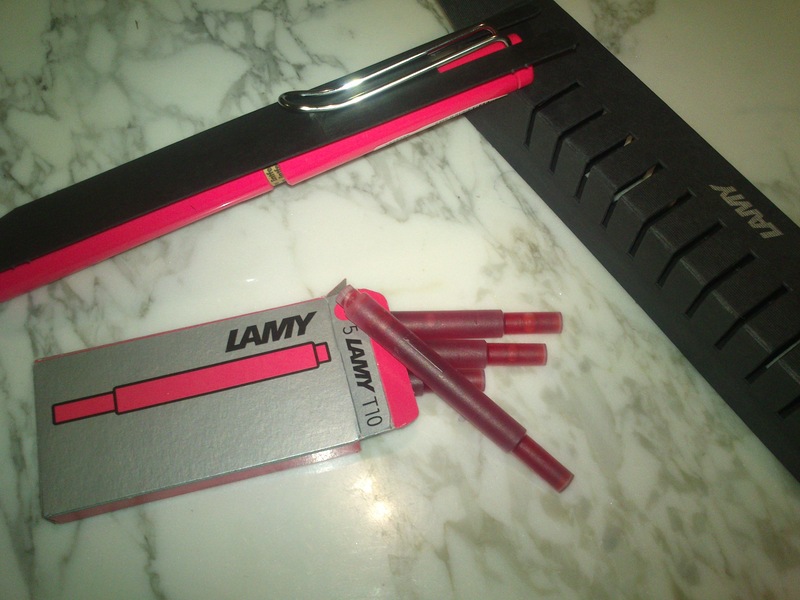 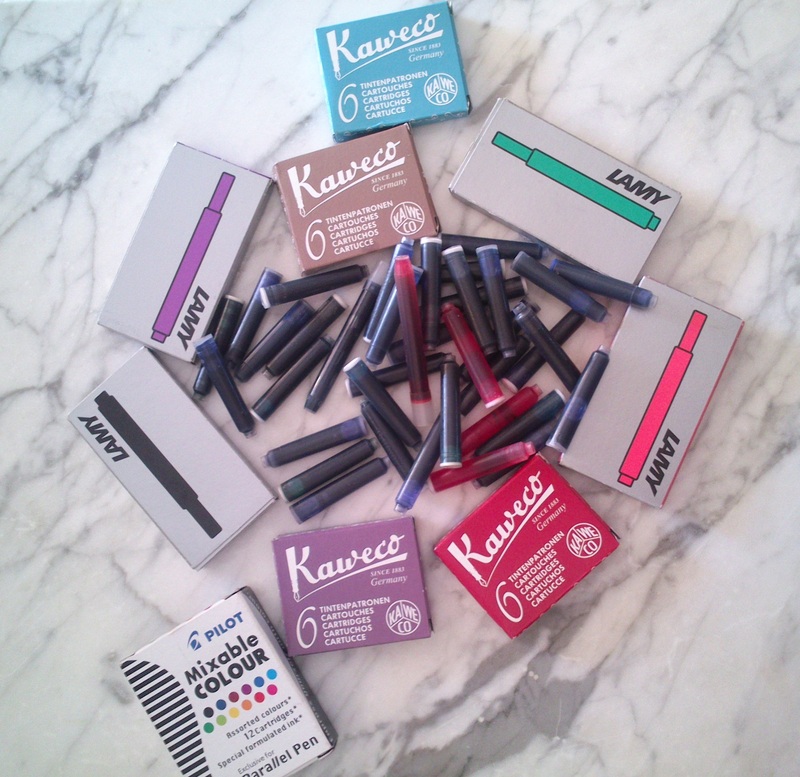 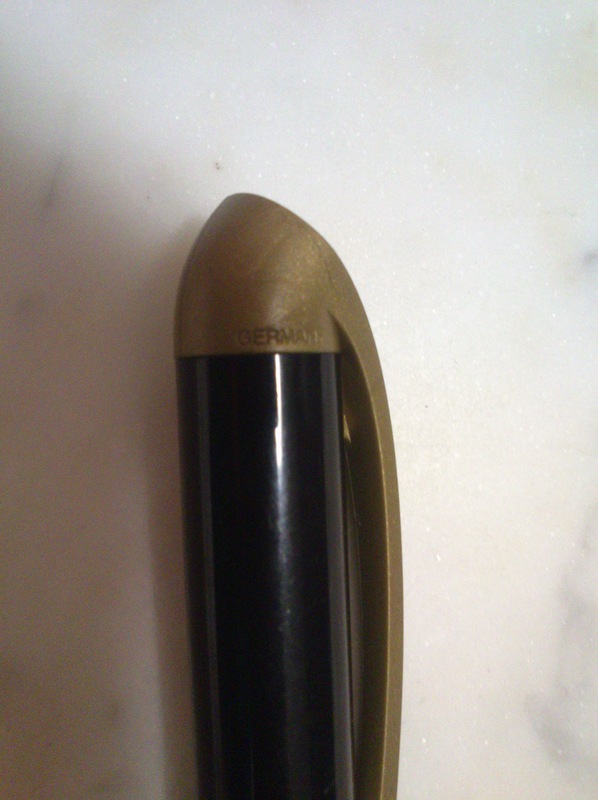 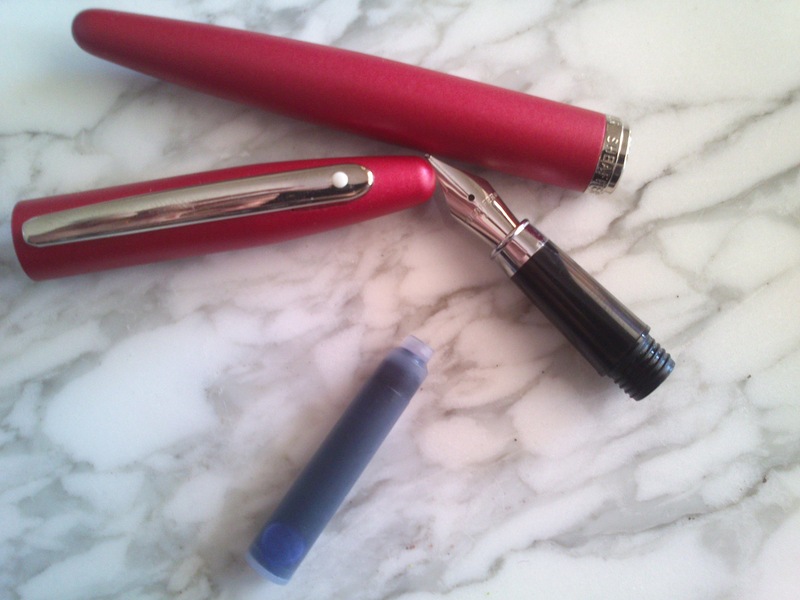 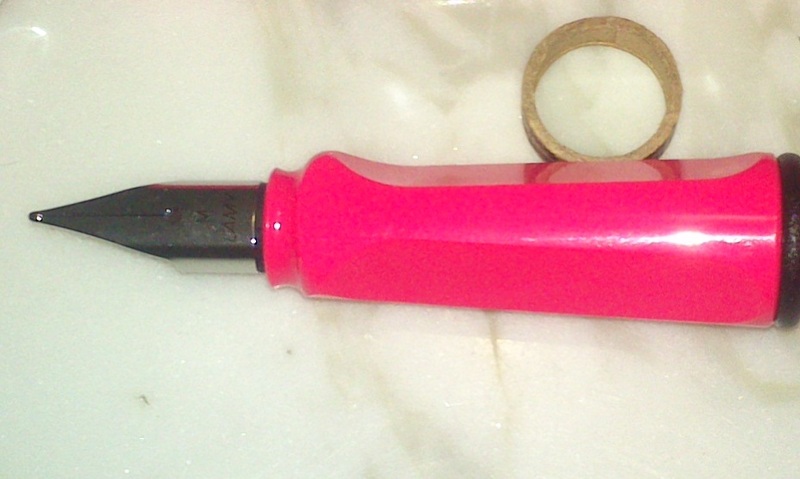 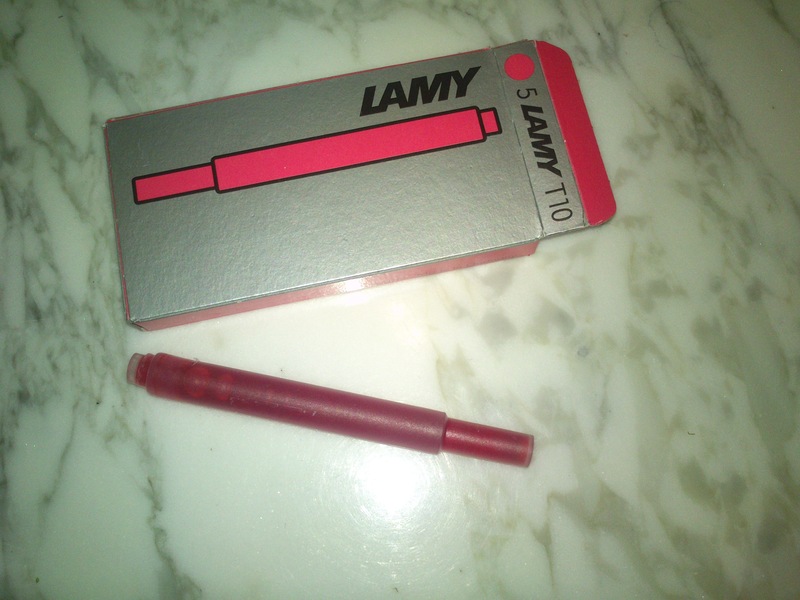 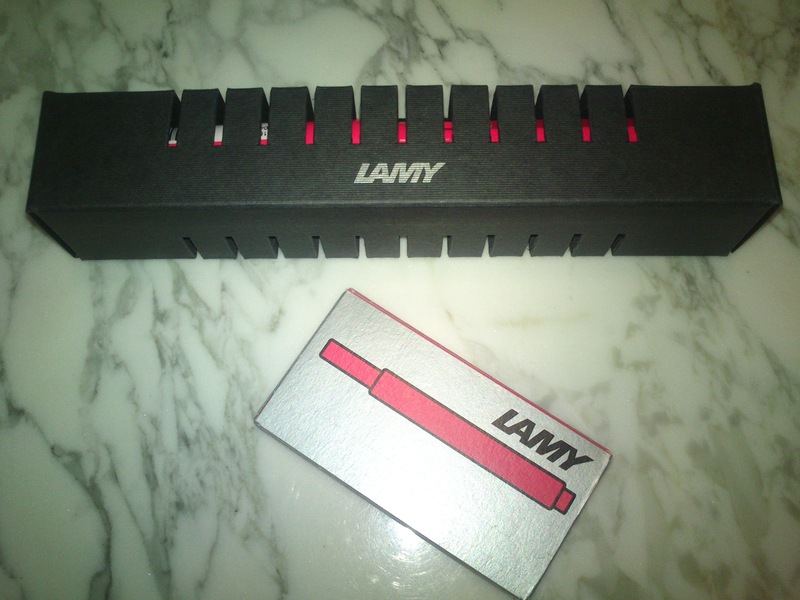 The grip section rounded triangular grip similar to the Lamy Safari, but it is rubberized instead of plastic. 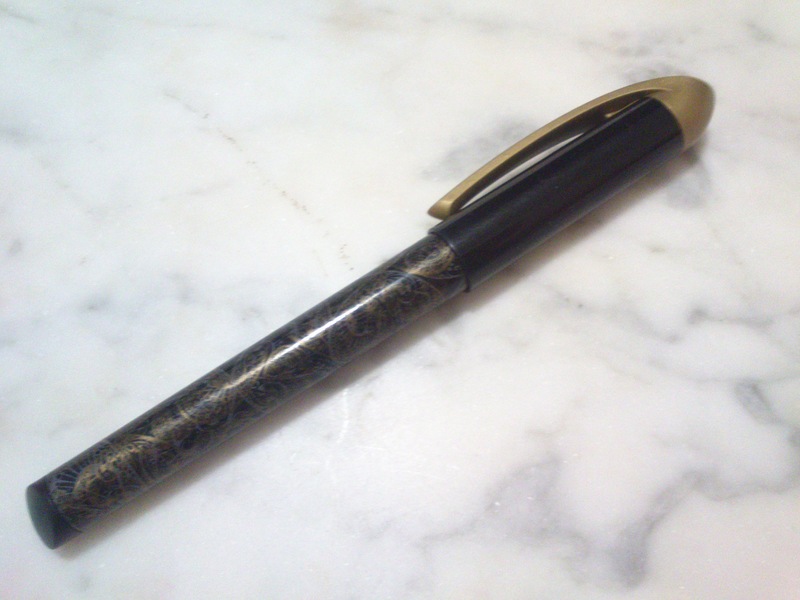 Again – because the barrel is not round it may prove uncomfortable for people who tend to hold their pens differently then most. 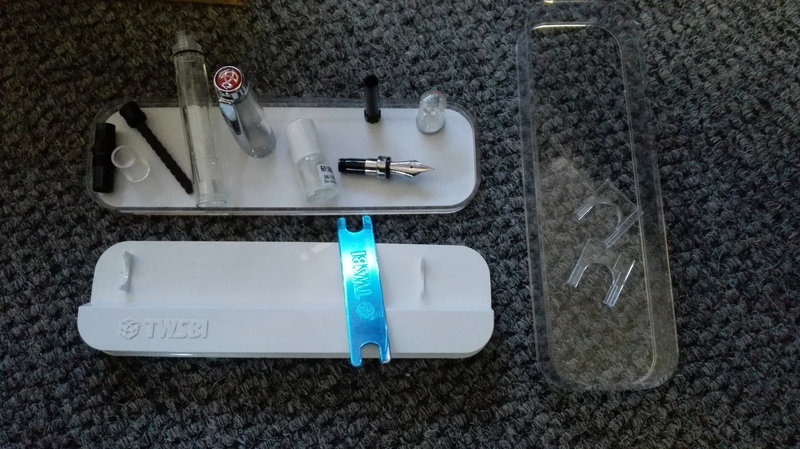 The grade of plastic seem to be the cheaper kind, but I have had it for around three months and there are no cracks or chips. 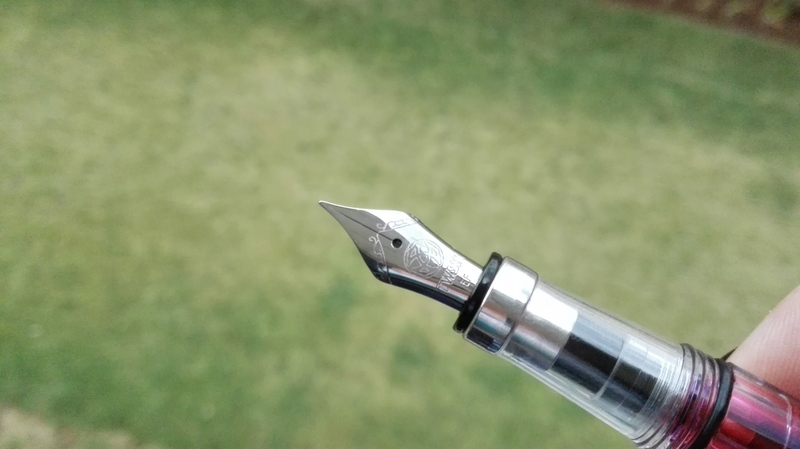 Although there are a few micro scratches in the cap, the printed finish is still perfect. 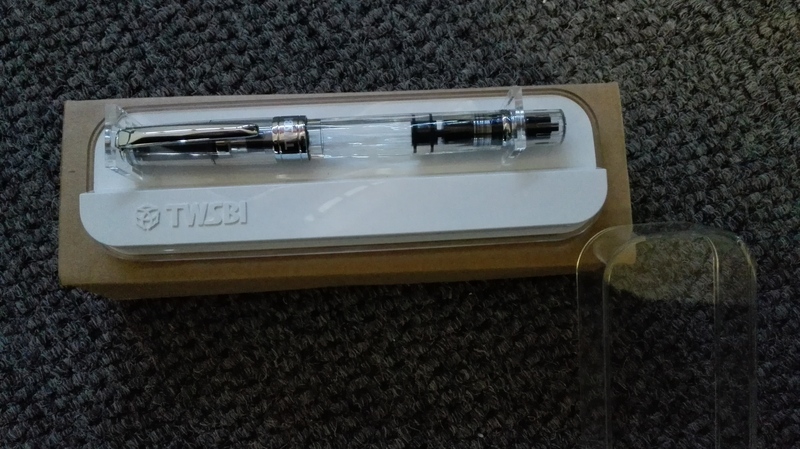 This pen takes standard international cartridges and comes with a blue cartridge in the barrel when you buy it. 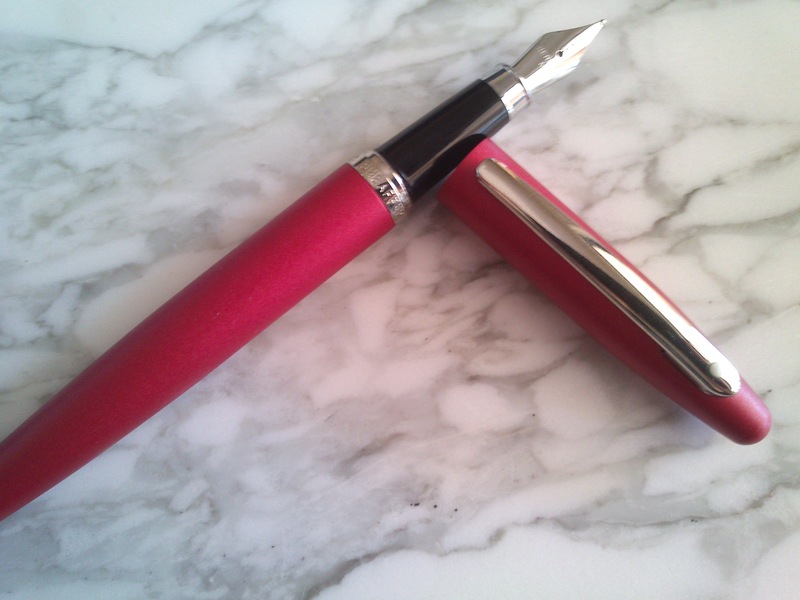 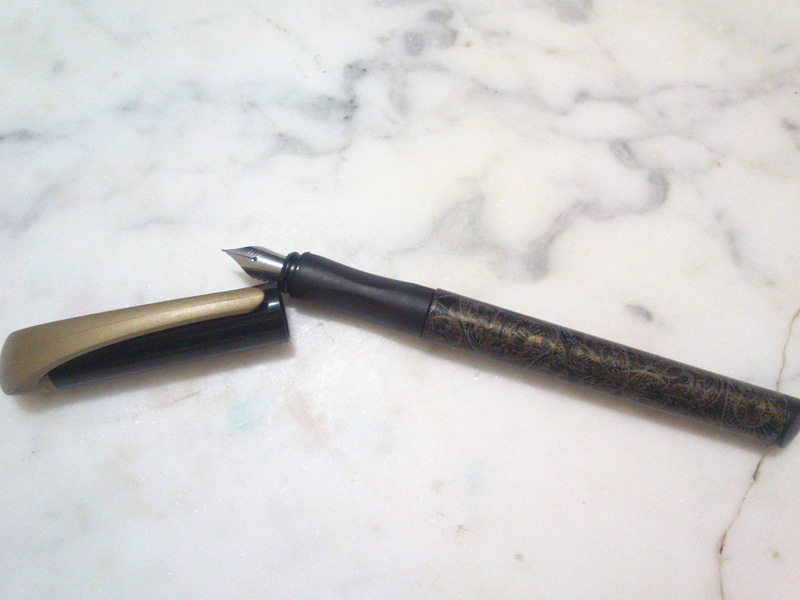 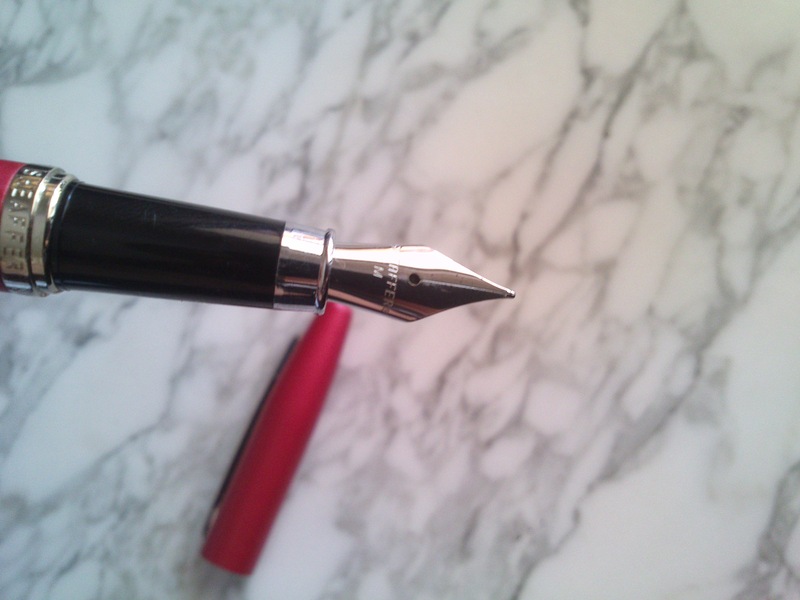 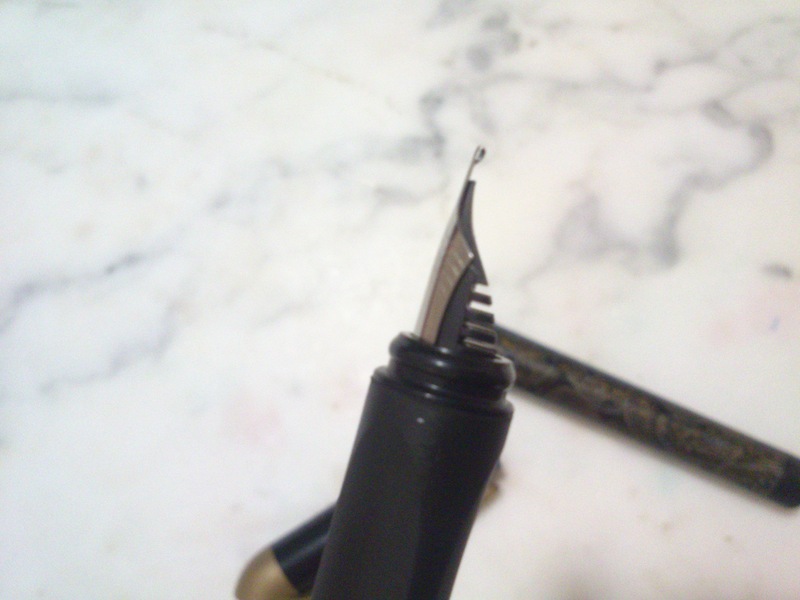 The nib looks much less impressive then the Lamy Safari, Pilot Metropolitan or the Sheaffer VFM – but writes surprisingly smooth. 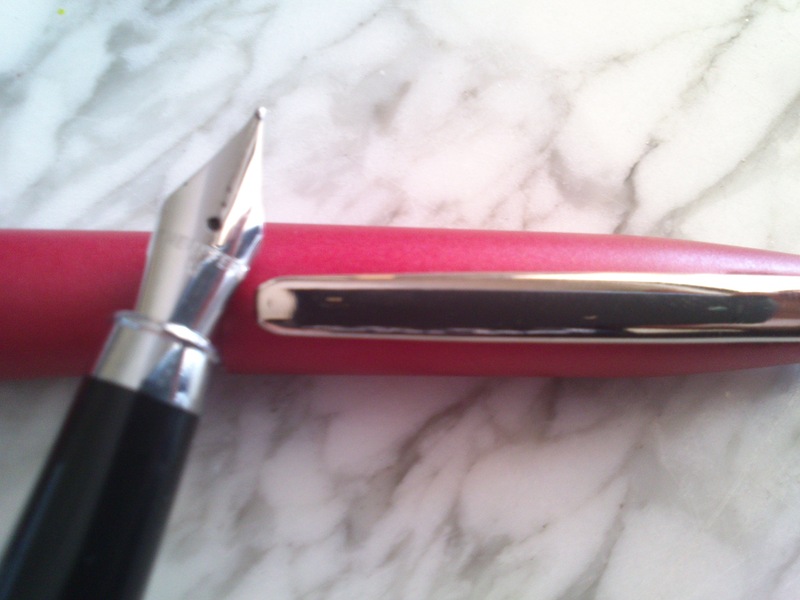 My particular pen writes smoother then the Pilot Metropolitan or the Sheaffer VFM and is a touch wetter then the Lamy Safari. 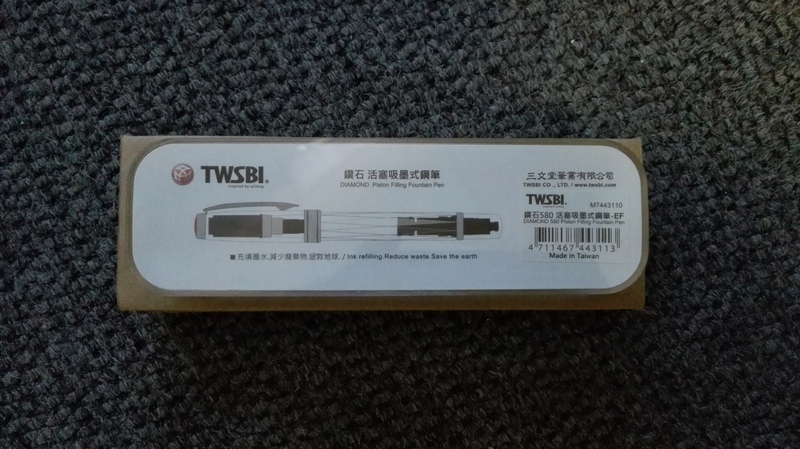 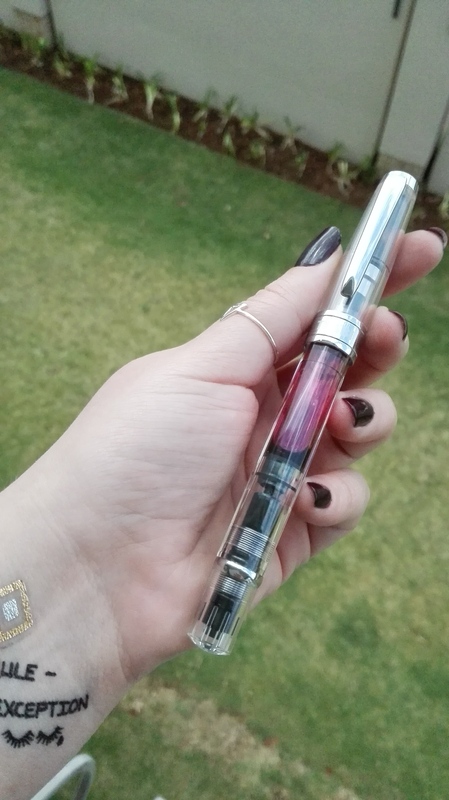 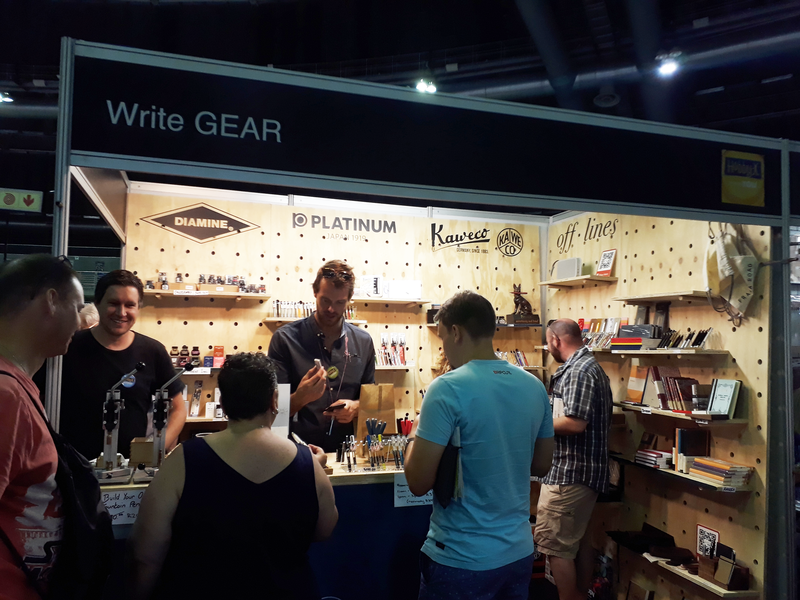 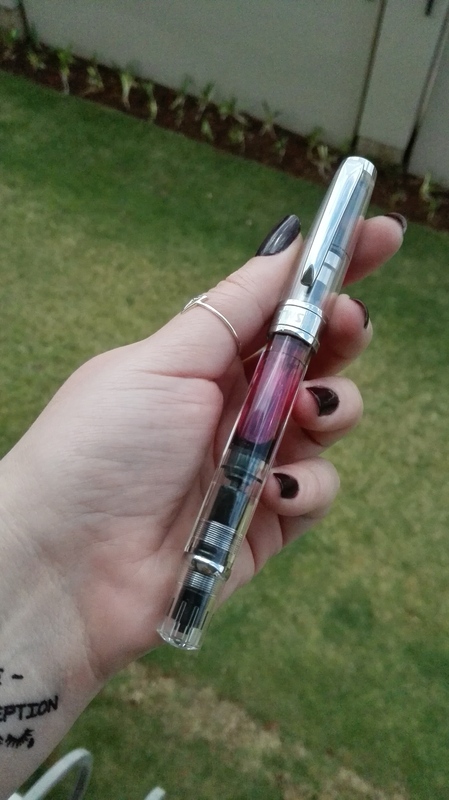 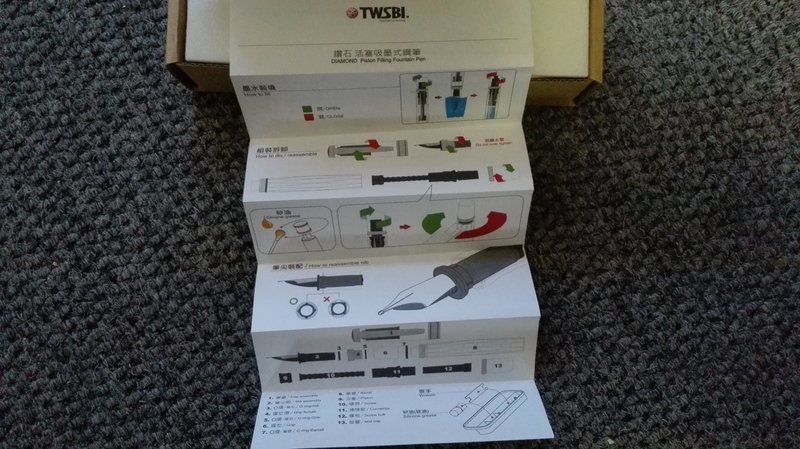 This pen really impressed me, i’m not sure if I just got lucky – or if all the pens write this smoothly, but for the R 52.95 that I paid for it I was pleasantly surprised. 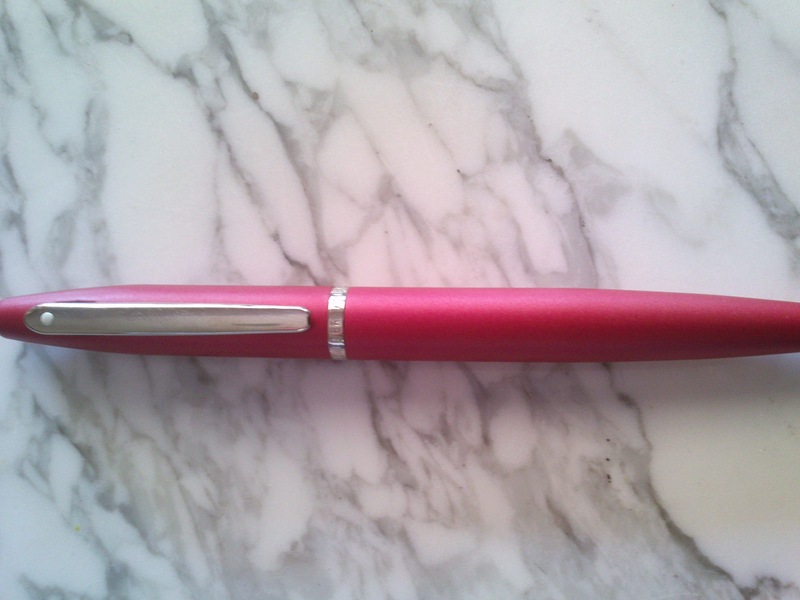 This pen is comfortable to use, the rubberized grip provides a soft grip for extended use. 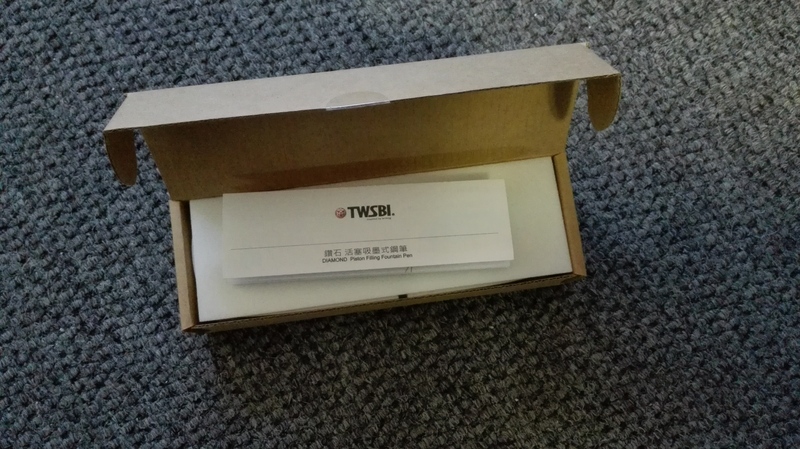 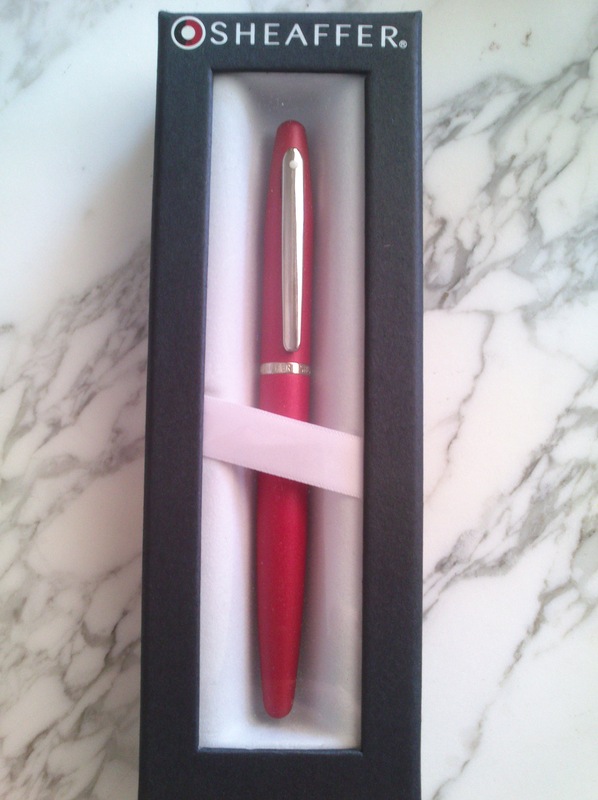 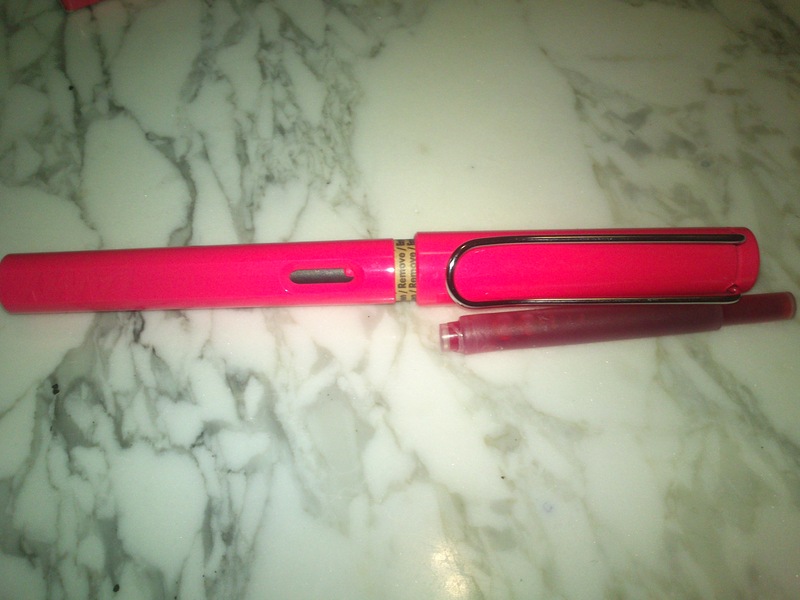 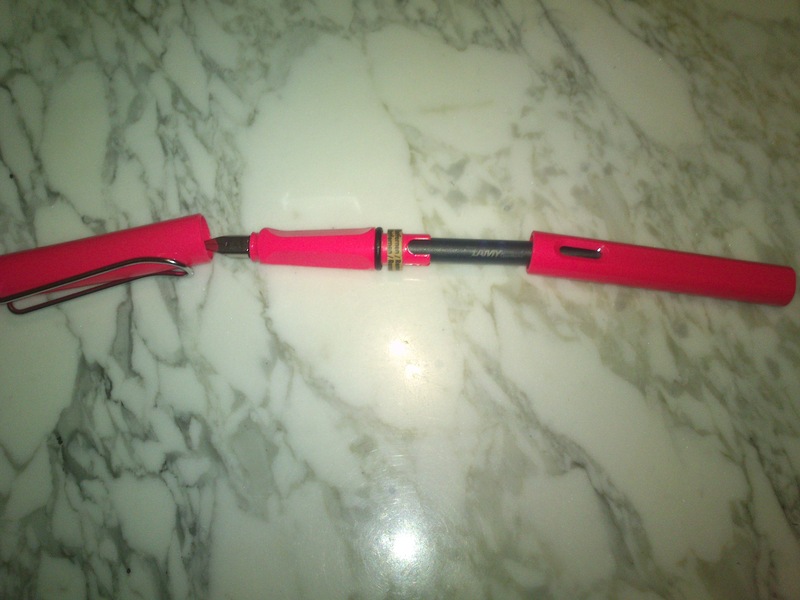 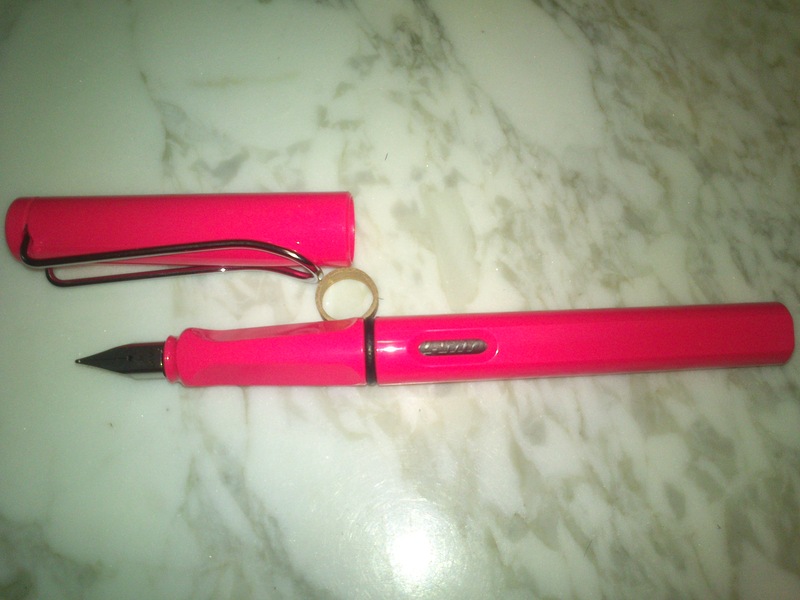 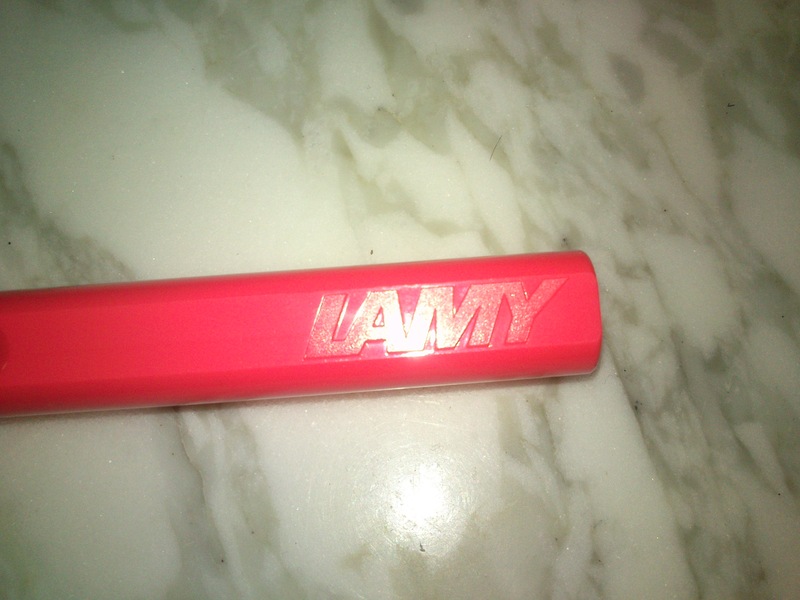 This pen is also light and the cap can be posted securely for extra length if required.